The Nagelberg Bernard Law Group, with more than 20 years of experience representing the victims of negligence, has dedicated car accident lawyers ready to represent those who have suffered injuries, financial and personal loss and future damages due to the negligence of another party. Determining negligence requires in-depth understanding of the law. Motorcycle, car and truck accidents, product liability, medical malpractice premises liability, personal injury and nursing home abuse are all common examples of negligence. Anyone who has been involved directly or indirectly in an injury accident knows how it affects the lives of the victims and their families. More than 34,000 U.S. residents died last year in motor vehicles crashes, and millions of people were injured. If you are injured in an accident, you need to first make sure that you get immediate care for your physical and emotional needs. 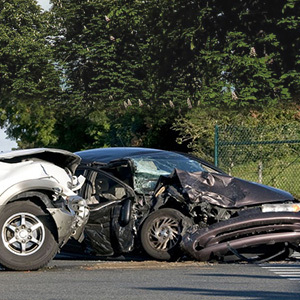 Auto accidents can cause loss of income, impaired physical ability, pain and suffering and loss of enjoyment as well as many other serious problems. You should contact an attorney who specializes in auto accidents as soon as you are able to do so. Remember that once you accept a financial settlement from an insurance agency, you might get stuck with that settlement even if more issues arise at a later time. There are also time limits regarding how quickly you must file a claim, so make sure that you are prepared. Take a look at our car accident FAQ page for more information about auto accidents. Whenever you file a personal-injury claim, it is important to determine who is legally responsibility (who has liability) and how much you are legally entitled to receive. Determining which sources can be used to collect damages, such as insurance or individual assets, is also an important and complicated step. An attorney can help clients make a determination of liability, evaluate and gather evidence to prove damages and collect the judgment or settlement. Numerous factors can bring about liability. Unsafe roads due to inadequate warnings or poor design could affect who is responsible for an accident. Unfortunately, many people do not realize the importance or preserving evidence, and they wait until it is too late to make a claim or until their case becomes much more difficult to prove. If you believe another party may have been at fault in an accident in which you or a loved one was injured, contact a local attorney for a free consultation.